A four year old boy and his grandmother died earlier this week when a speeding school bus rear ended their vehicle. The accident occurred in Brazoria County. The accident happened just after 3 p.m. when a school bus was speeding and smashed into a Chevrolet that was stopped at a red light. The force of the collision pushed the Chevy into two other vehicles. The school bus was not carrying any children at the time of the accident. The four year old boy inside the vehicle was flown to the hospital and his grandmother was taken to a local emergency room. They were both pronounced dead less than two hours later. The boy’s grandfather was injured in the accident and was taken to the hospital. The bus driver was cooperative and was tested for alcohol use. Unfortunately, school bus accidents are not uncommon. Earlier the same day, in an adjoining county, a bus and an SUV collided. Last week, a young boy was killed in an accident involving a school bus. The good news is that school buses are one of the safest ways to transport children to and from school. In general, school buses are much safer than other automobiles. However, when an accident involving a school bus does occur, the results can be devastating. 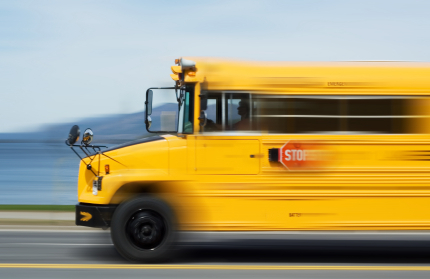 If your child has been injured in an accident involving a school bus, you have a legal right to compensation. Your child can recover compensation for medical expenses, pain and suffering, and more. The compensation may come from the school district or from another automobile driver who was involved in the crash. Call the Houston personal injury attorneys at Kennedy Hodges at 855-947-0707. Our team can help. Call us today to learn more or to schedule a free consultation, or visit us on Twitter.